Master Blaster Sachin Tendulkar turns 38 on Sunday completing another year punctuated by milestones, the most memorable being the World Cup triumph. The maestro’s fans are eagerly waiting for the celebration of his birth day which is on 24th April. 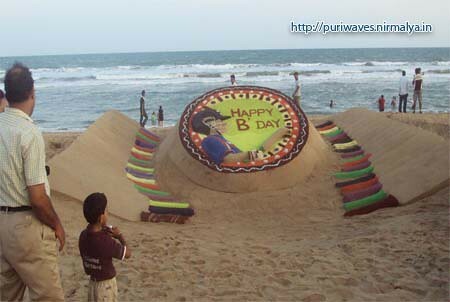 However Today Internationally renowned sand arist Sudarsan Pattnaik made it in a different way. He is wishing to Sachin Tendulkar on his birthday by creating a huge sandy cake with 38 cricket bats on his 38th birthday as a gift for batting maestro at golden beach of Puri in Orissa. He has used 20 tonnes of sand for creating this huge colourful sandy cake and 38 cricket bats on this occasion. “I want to dedicate my art to Sachin on his birthday. 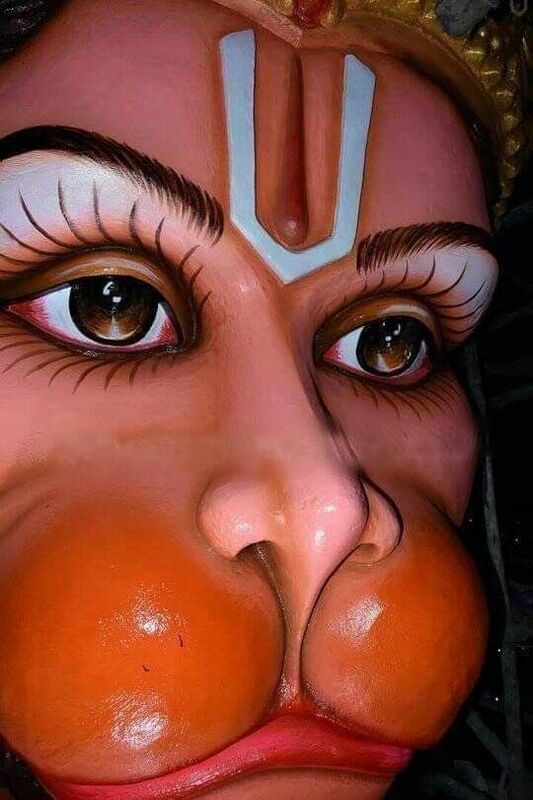 I shall take the photographs of this sculpture and the same shall be sent to Sachin at his Bandra residence” in Mumbai. 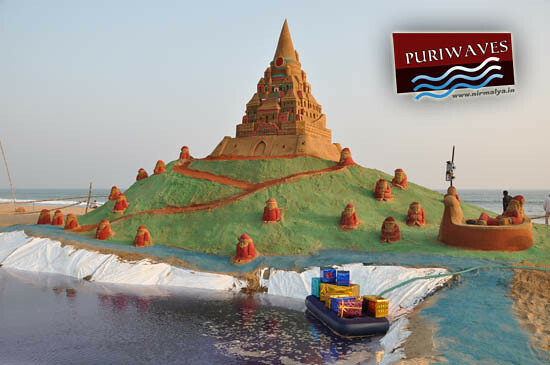 Pattnaik took 20 hours to create this sculpture with his students of Sudarsan sand art Institute. He used colour sand in this sculpture. “He met Sachin during the 1999 World Cup when I was present at the dinner hosted by the Indian High Commissioner in the England, Pattnaik said. 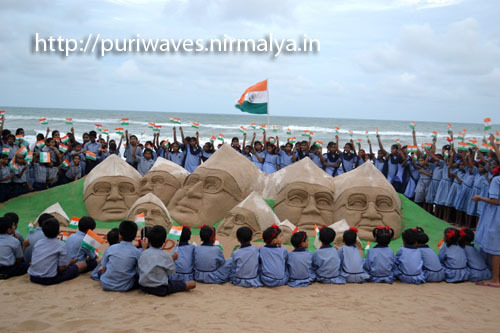 Pattnaik has participated in more than 50 international sand sculpture championships across the world and has won many awards for the country. He was selected to participate in the 3rd Muscow World Championship of Sand Sculpture which is going to held on 3rd May. 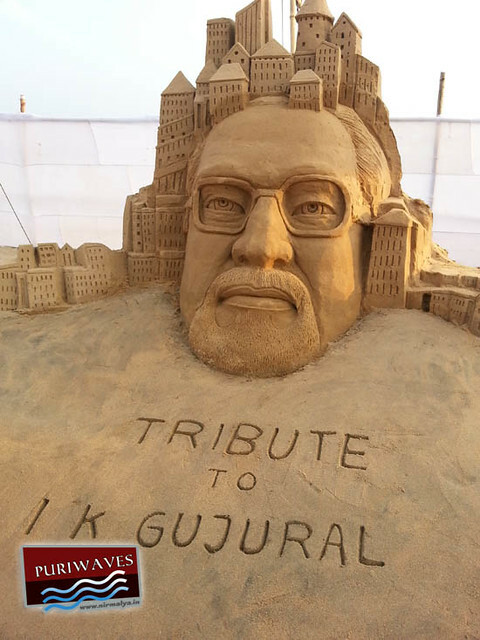 Sudarsan has been using his sand art to create public awareness about various events and global issues and is seen as a youth icon.